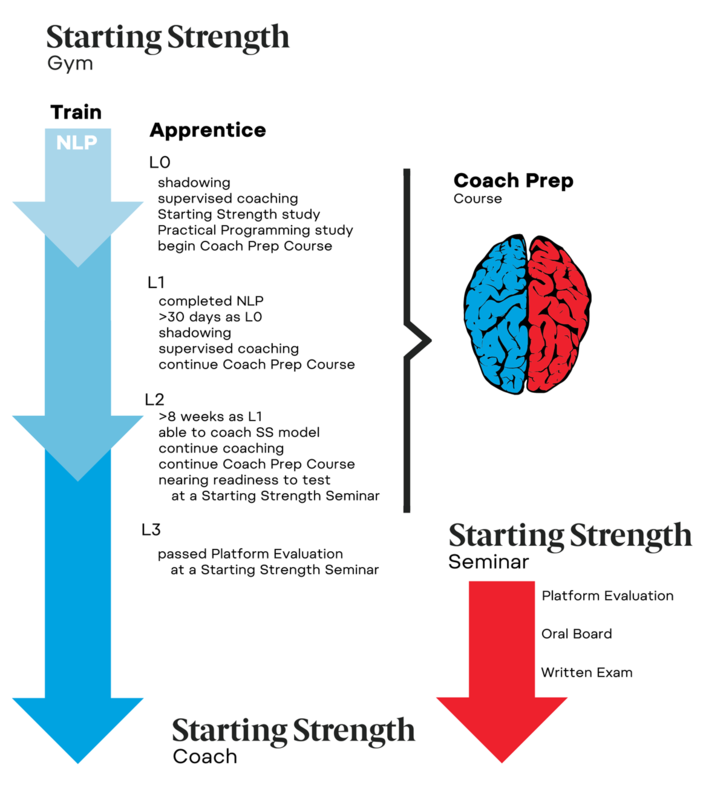 The Starting Strength Coach Development program is designed to help aspiring coaches efficiently prepare to become professional barbell coaches. 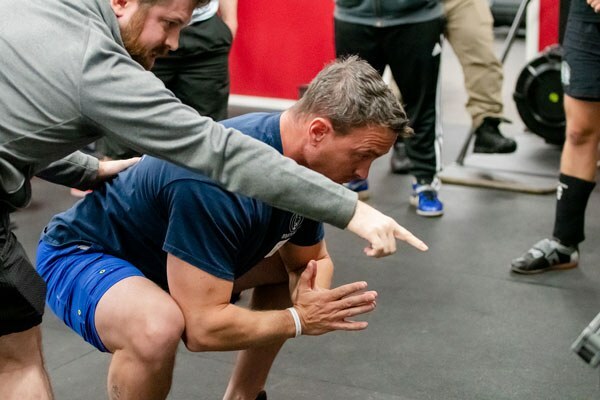 Starting Strength Coaches have demonstrated the ability to apply efficient mechanical analysis based on the Moment Model of Barbell Training and to adequately coach the Starting Strength method. Candidates for the Starting Strength Coach credential are evaluated in practical sessions at Starting Strength Seminars. Those who demonstrate ability to coach the movements must also pass oral and written exams which further tests their knowledge, experience, and ability to apply the Model. The pass rate has remained low and the time to competence has remained high for those developing skills on their own. The Starting Strength Coach Development program offers three components to help prepare you as a coach. 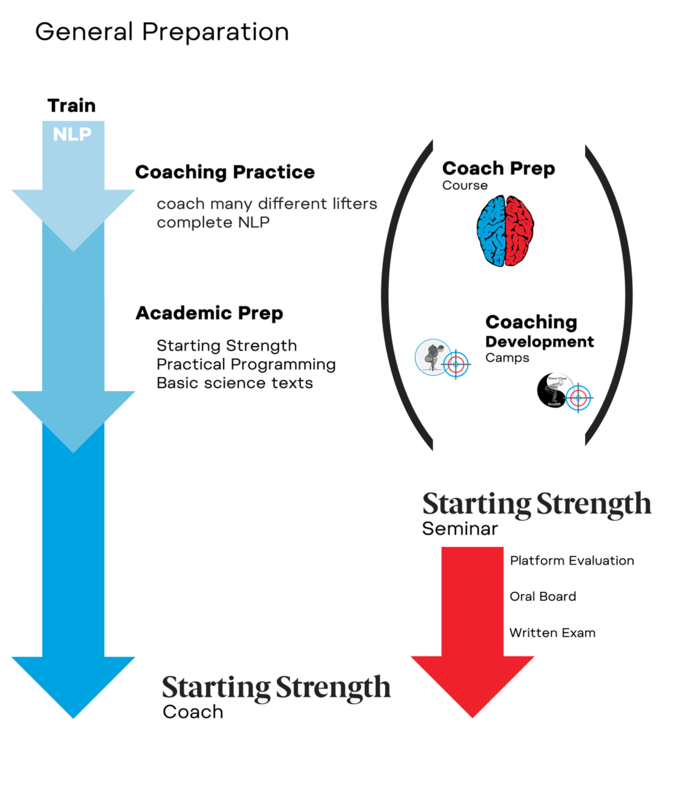 These components work best when coaching is mentored directly by a Starting Strength Coach, but can also be used by those learning independently. Coaching Development Camps are events designed to improve your ability to coach the barbell lifts. This helps fill the gap for coaches who do not have direct, real-life supervision as they learn to coach. It is also a way to get an assessment of coaching ability and find out if you’re ready to challenge the SSC evaluation or not. Unable to Apprentice at a Starting Strength Gym?